It’s been almost three years since a whistleblower shocked the nation by disclosing that 1,400 of veterans languished without care at the Phoenix, Arizona, Veterans Affairs Hospital — and new whistleblowers say little has changed except for the harassment they've received. The April 2014 announcement cost then-VA Secretary Eric Shinseki his job while members of Congress and President Obama promised that they would do better by the 6 million veterans who use the hospital system. It proved to be an empty promise. Earlier this month, the president’s Office of Special Counsel (OSC) reported that thousands of Phoenix veterans went without appointments in the past two years — and 215 of them ultimately died. Despite a mandate to see patients within one month, on a daily basis the hospital still has 1,100 people still waiting longer than that, the report found. Now, the whistleblower who alerted the OSC to these alarming numbers tells NBC News that he believes his desire to save veterans' lives came with a price: the VA retaliated against him with harassment, insurmountable work tasks and by placing him under surveillance and investigation for not solving the scheduling problem the VA created. "As an Iraq veteran, it makes me feel like dirt that bureaucratic civilians who've never served this country are abusing vets like me, and killing vets who have are defenseless because they're ill," said Kuauhtemoc Rodriguez, a scheduling manager for the Phoenix VA's specialty care. "They know the price of freedom and the VA abuses that, and benefits off the backs of veterans." Rodriguez’s plight to expose the corrupt system even caught the attention of Sens. John McCain of Arizona and Chuck Grassley of Iowa, whom respectively, wrote a letter to VA Secretary Bob McDonald demanding answers and issued statements praising the Rodriguez and Coleman. Rodriguez said he sought the protection of the OSC after several things happened: His complaint to the Inspector General's office was somehow emailed to several staff members by his boss, his computer was monitored, he was placed under surveillance, and he was criticized for not fixing scheduling problems by himself. "They grilled me for four hours in a [VA investigatory] board. I was in the military and had to deal with the CIA once and that only took me an hour," Rodriguez told NBC News. "I’ve been in combat in Iraq and to have to come home and deal with this?" asked Rodriguez. Phoenix VA spokesman Paul Coupaud denied that Rodriguez was being retaliated against for whistleblowing, but said the actions were taking because the VA's Administrative Investigation Board (AIB) was "investigating allegations of harassment." 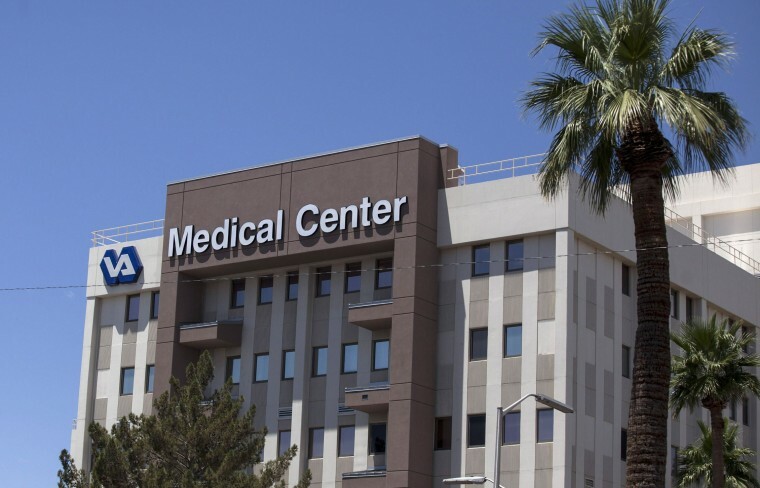 Coupaud said the Phoenix VA's director received multiple complaints of harassment against the health services leadership team, which included Rodriguez. "In the VA, an AIB is an impartial inquiry to determine facts, collect evidence, reveal improvement areas, and identify system problems," Coupaud said. "Generally, an AIB does not make recommendations for action to senior leaders, but only reports facts found during the investigation ... As the investigation is not complete, we cannot address what facts the AIB has or has not discovered." The VA also disputed the number of veteran deaths saying the number was actually 118 — and that only one person could be verified as a definite result of unscheduled care. "They grilled me for four hours in a [VA investigatory] board. I was in the military and had to deal with the CIA once and that only took me an hour"
Rodriguez said he first discovered that something was wrong in April 2015, when he was going through a list of veterans unscheduled for care and found six dead patients. Concerned, he did further research and found more than 200 dead patients — all who had died waiting for procedures like dialysis, colonoscopies, lump removals, vascular surgeries and mental health screenings. Thousands more patients awaited appointments, he said. He brought the findings to his supervisors but decided to complain to the Inspector General when "there was no real movement to get to the bottom why we weren't scheduling people on time." The VA would have needed to hire an additional 38 people to manage the scheduling, but no move was done to do this, he said. Rodriguez, who served as an Army military police officer for seven years, is one of about 50 whistleblowers who have surfaced in the past few years to complain about excessive wait times, dirty facilities and substandard care in VA hospitals across the nation. Many whistleblowers have reported some sort of retaliation from the hospital directors or the VA’s Office of Inspector General — even though a federal law specifically prohibits harassment of agency employees who bring wrongdoing to light. Veteran Shea Wilkes, a social worker at the Shreveport VA Hospital was placed under criminal investigation by the Inspector General after he reported hundreds of patients had been placed on a secret waiting list so the hospital appeared to be complying with the one-month mandate. His "crime" was violating HIPAA laws by turning over the list of names to prove his allegations, according to documents by the OSC and interviews with Wilkes and his attorney, Richard John. The probe lasted a year and ended in June 2015 when John received a phone call from the Inspector General saying Wilkes was no longer under investigation, John said. And therapist Brandon Coleman was suspended for 460 days on what he says were unsubstantiated charges of assault in Phoenix after he told the media that suicidal veterans were leaving the facility without receiving proper care. The OSC stepped in and resolved the matter in May 2016, finding a new place within the VA for Coleman to work that didn’t involve harassment, he said. "The whole thing smells fishy," Coleman said of VA probe into Rodriguez. "It is Phoenix VA leadership textbook 101 how they work harder to go after whistleblowers than they do in actually admitting to and fixing the problems we raise."